It makes me so happy to partner with companies who are trying to change the world through kindness and action. 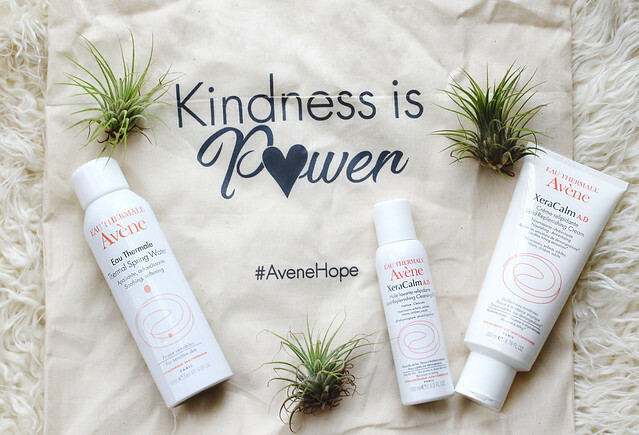 That's why today I'm working with Eau Thèrmale Avene in sharing Carissa's story here on my blog. Carissa went through years of being bullied because of her skin condition (eczema) and NO child should be picked on and harassed, especially because she was born with a disease with no cure. October is National Bullying Prevention month, and this is a cause that is near and dear to me. My oldest daughter has eczema and it has always been a struggle for her. Luckily, she was never picked on. Poor little girl. My heart goes out to her and this is great cause to raise awareness for. One of my daughter's friends actually killed himself because of bullying and it breaks my heart. Thanks for sharing this! Thermal spring water is part of my daily routine and never miss a day, and since I've started using it I've seen major changes and I love it!